Beautiful Applique baby bib. Featuring a brown little baby boy, girl, or both. 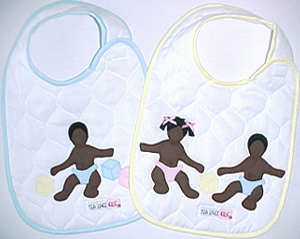 White poly cotton quilted fabric with applique of infant and color trim.